In 2017 LGBT members of SUE were able to elected two members to the Executive Committee of SUE for the first time. The two elected representatives were Rachel Doyle and Paul Riley. 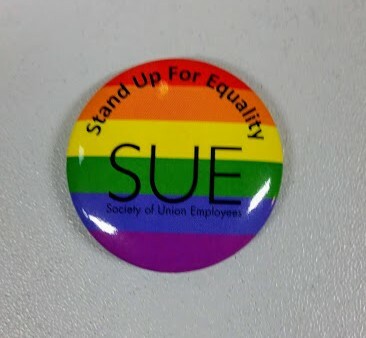 SUE has produced materials to promote LGBT equality in our workplaces. These can be obtained from either SUE Branch Secretaries or from Rachel Doyle. 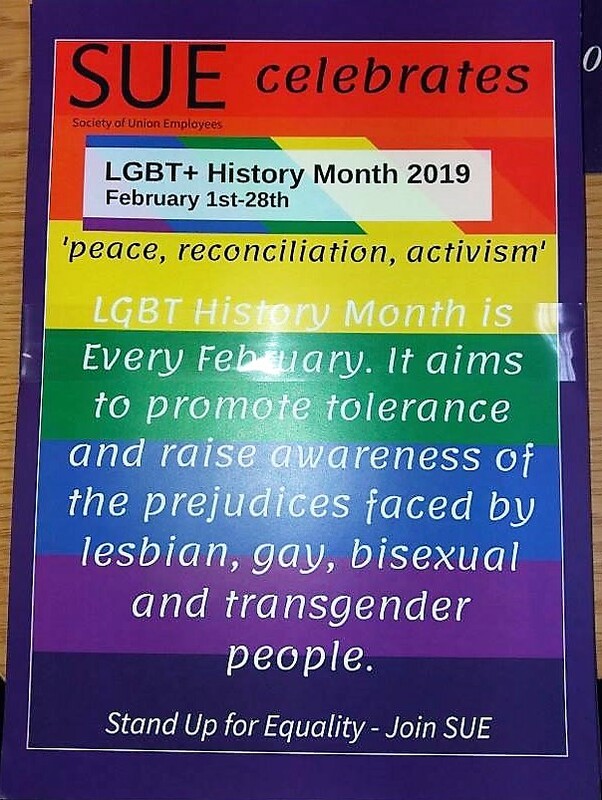 SUE produced the poster below to celebrate LGBT+ History Month in 2019.